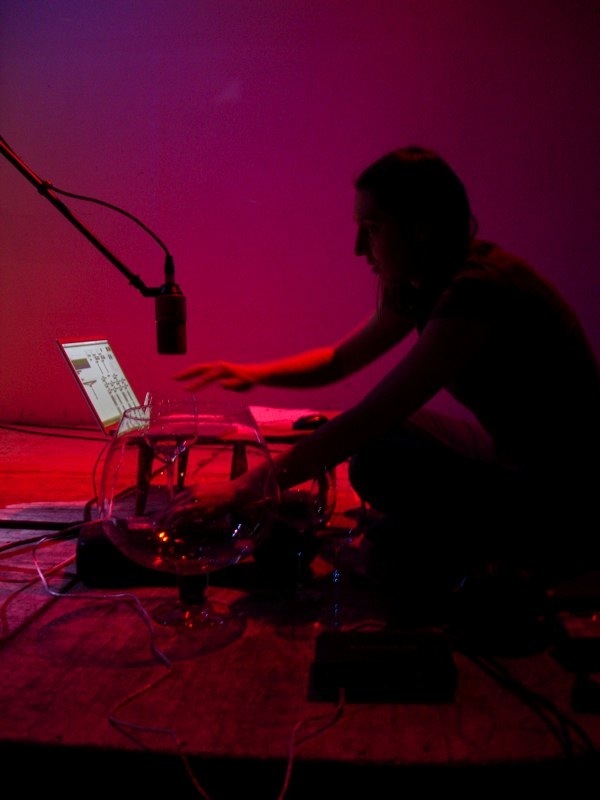 I played the piece Soup at the Holocene on April 10th as part of the electrogals concert. I started it about 4 years ago, and it's still in progress. I've traveled a lot, and I always carry recording equipment with me. I think I first got the idea for this piece at about.. oh, sunrise, one day 4 years ago in a Muslim neighborhood in Addis Ababa. Since 9/11, the US has spent so much time trying to convince its us that there's some major difference between Christianity and Islam, and I've always found them to be quite similar. I started to record the sounds of anything that people believed in - they're all really incredibly similar, yet we take the differences so seriously that most wars can be traced back to them. I didn't ask for permission to record in Paris or Marrakech - Those sounds I got from walking through the streets, not from entering into a place of worship. I did ask permission both in the Vanni and Dandesi - I suppose if either of those places had been tourist destinations they might have been a little more hesitant, but I'd lived next to the temple in the Vanni for few months before I'd asked permission, and the lama in Dande had brought it up first. I haven't always asked permission, but I felt like I should ask permission on the things I was going to share. I took a history of religion class about 10 years ago, and one of the things I recall from it was how my teacher summed up Hinduism. He said, "It doesn't matter what you believe, as long as you believe." I think I view myself as fairly agnostic, although I suppose that that could be argued either way. I agree with Marx's "religion is the opiate of the masses" - Religion is a crutch, but perhaps the world needs crutches. Maybe that is the only way we really can function. I've had experiences that were perhaps religious experiences, but perhaps they can be explained with science - I'm fine with either answer. I think we should be moral and just because we should be, but if others need their god(s) to tell them so, then so be it. I personally need religion to deal with death - I personally can't watch someone suffer and die without hoping that they're in a better place. I was in a bad accident a short while ago, which either makes you think about god, or at the very least, makes other people think about god for you. I spent a fair amount of time thinking about things like breathing and out-of-body experiences because my body was too painful to stay in. I did go to church as a child - fairly mainstream churches that we were known to leave when the congregation thought god was trying to tell them how to vote or who to hate. I didn't say anything about the piece before playing it - Going into my religious beliefs, or lack of - seemed more personal that I felt like sharing. I found it interesting that everyone who talked to me afterwards knew exactly what it was about. The title Soup came from a line in a Nick Cave Song - in the Mercy Seat, there's "the face of Jesus in my soup." Religion is soup. It's all the same, yet very different. The cello player's name is Renee Vineyard - she and I were in orchestra in High School together. She's now a teacher at Binsmead Middle School. And this is all very much dedicated to gene, my better half.